We bring the fleet of mobile devices in your business to the next level. Higher security of business data, savings, and efficiency – these are the real results of tools for mass management of smartphones and tablets. AirWatch, Mobile Iron and SAP Afaria. Whether it’s corporate or employee facilities, your data are safe there. We ensure seamless distribution of applications to internal users. We automatically upload our apps to both your official stores and your new MDM solution. In addition to implementation itself, we also provide tailor-made settings for your needs and we advise you on further developments. WHAT MORE CAN MDM OFFER? 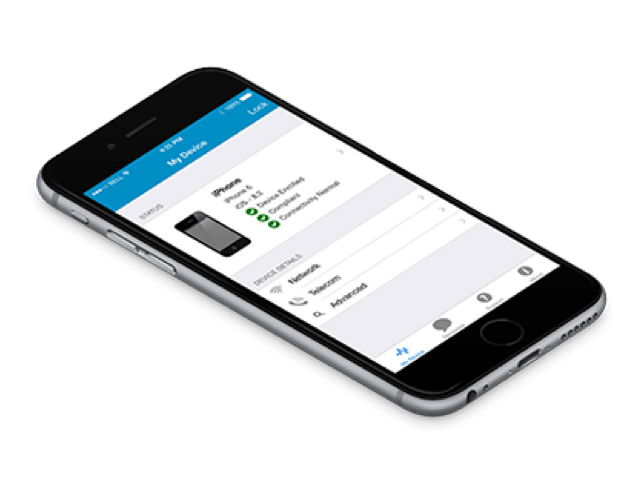 Manage everything comfortably from one point via a console that allows blocking or complete deletion of the device in case of theft or loss. Assign different profiles of mobile devices, applications, and access rights to individual user groups. You can use existing business directories (AD / LDAP) to create them. Users are authenticated through their username and password, AD / LDAP, SAML, token, or proxy authentication when adding mobile devices to the company network. Automatically detect unauthorized users, lost or stolen devices, and any other security risks in real time. You have detailed information about used devices, including user profiles, installed applications, content, and certificates. As an administrator, add all devices at once and define related policies for each user or a device. With remote commands, you get device information or perform various actions such as resetting a password, sending a message, data deletion, or finding a current location. Find detailed information about actions taken on a device or a console at any time. They are continuously monitored and stored and can be filtered. As an administrator, you can configure any device, manage access, and set up security policies. Real-time Dashboards. As an administrator, you have access to devices’ detailed reports and statistics which are available for download in any format.